Maplewood rehabilitation is comprised of full times therapists in speech and language therapy, occupational therapy, and physical therapy. Services are offered 5-6 days a week based on residents’ needs and goals. Our skilled staff members are dedicated, and knowledgeable in their fields, offering state of the art therapies for our aging population. 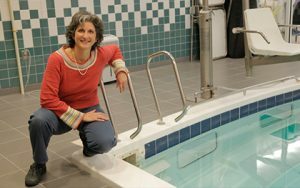 Some of our specialty training includes aquatics therapy, lymphedema management, and physical agent modalities for use of pain management, neuromuscular re-education, and muscle strengthening. We welcome families and caregivers to participate in or observe our therapy sessions. Occupational therapy helps people across the lifespan participate in the things they want and need to do through the therapeutic use of everyday activities. OT uses an holistic and customized approach to evaluations and interventions with a goal of achieving the highest level of independence as possible. OT interventions include self care retraining, arm and hand rehabilitation, cognitive retraining, family education, splinting and positioning, home safety assessments, aquatics therapy and home skills preparation. Occupational Therapy is based on the belief that purposeful activity prevents or mediates dysfunction of physical or psychological origin. Occupational Therapy works with each individual to make his/her life as purposeful and productive as possible! Physical Therapy is a moving experience at Maplewood Nursing Home. Our main goal for all residents is to achieve, if able, or maintain, as possible, their highest level of independent functioning. The Physical Therapy Department offers services to all residents in the following capacity: initial and yearly evaluations with quarterly checks and maintenance therapy, as indicated, as well as skilled levels of therapy, when appropriate. Maplewood offers Speech Therapy services in the areas of dysphagia (swallowing management), communications skills (oral and non-oral), reading and writing skills and cognitive retraining. Speech Therapy offers individual treatments, and staff, family and patient education. Speech therapy can assist residents to find a method of communication so they can enjoy communicating with family and friends! Maplewood is certified to bill Medicare Part B and other commercial insurance, when applicable, for all of the above therapy services. What is the Cheshire County Shepherd Program? 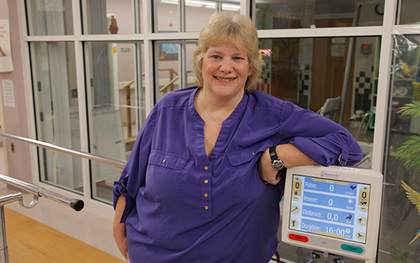 The Shepherd Program helps county residents who are in need of durable medical equipment. Established by the Cheshire County Sheriff’s Department in the late 1990’s, the program recycles donations of used medical equipment. It is now run through Maplewood’s Rehab Department and is based on available inventory. Who is eligible for the Shepherd Program? This program is available to all residents of Cheshire County. Items are loaned free of charge on a short-term or long-term basis. The program seeks to assist county residents with equipment for visiting family or friends, and for those who are recovering at home or who have an ongoing need. The program is run by appointment only at 399-7368. The program loans and accepts donations of durable medical equipment that are clean and in good condition, including wheelchairs, walkers, tub/shower seats, and commodes. Items are available on a first call/first reserve basis, and arrangements to pick up items are made by calling 399-7368. Donated and returned equipment is sanitized and stored at Maplewood, with minor repairs and adjustments as needed. An inventory of available items is maintained, and reservations are based on existing inventory and on a first call basis. Pick-up is by appointment only. Donations are made by calling 399-7368. If you have equipment to donate, please call in advance so that we can check our existing inventory for need. Donated items must be clean and in good condition in order to be accepted into the program. Donations are logged and thank you letters sent (values are not included). Donations are by appointment only. Who is the Shepherd Program contact person? 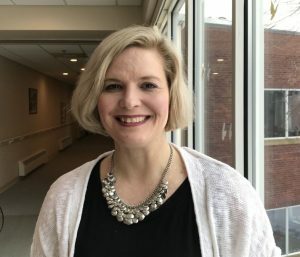 Please contact Sally Jenna, our Rehab Technician, at 603-399-7368. She will be happy to assist you! Sally’s hours at Maplewood are Mon-Fri: 5:30am-1:30pm.